Thanks to all who participated in the Red, White and True QAL Big Finish Giveaway of a Fat Quarter Shop $50 gift card...the winner is.....Kathy E! Have fun shopping, Kathy! 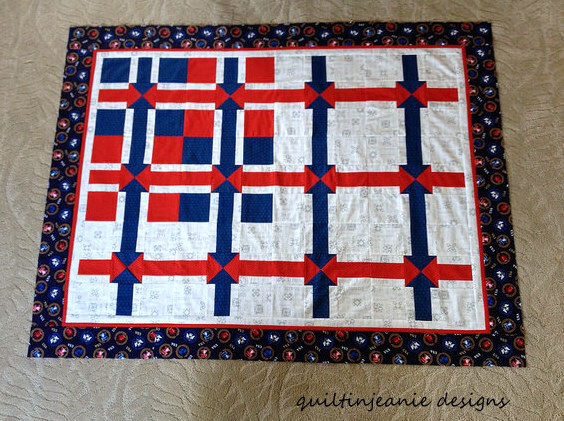 As you finish those Red, White and True quilts, I would love to see them so send me pictures, blog about it or add your pictures to the Flickr page. Let me know so I don't miss it! I found Rachel's picture of her finished top on the Flickr page this AM. Isn't it beautiful? 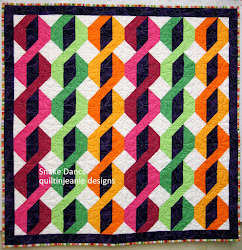 You can still download all the free patterns from Craftsy, or if you prefer the tutorials, the links to everything are on the Red, White and True QAL page which you will find on the page bar above. 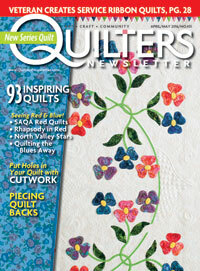 The Craftsy patterns will remain free for the next month, then I will rewrite it as one pattern and sell it that way. 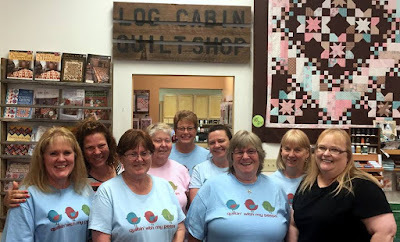 I'm just back from a quilt retreat at Stitchin' Tree Quilter's Cottage in Woodbine, IA. The cottage is attached to Stitchin' Tree Quilts, a unique quilt shop about a mile from Woodbine. It's a nice place to getaway and Teresa lets us shop round the clock if we want. So it's not unusual for someone to jump up from sewing and head out to the shop. We had a great time and got lots of sewing done. 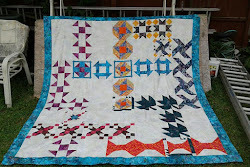 I will post more about it as the week goes on, so will just post the Quilters of the Corn, the Sequel picture for today. 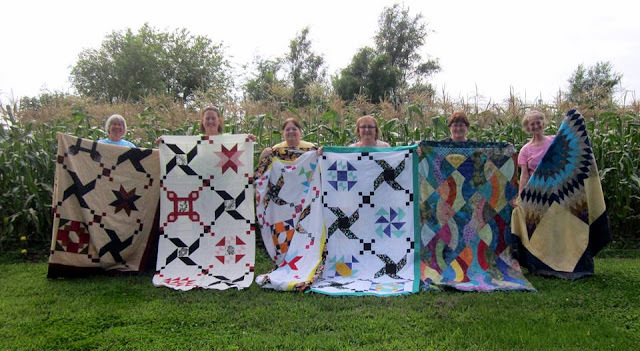 You might remember this Quilters of the Corn picture from last year's retreat there. This is our fifth retreat here and our 11th retreat together. I have lots to do today to get caught up around here. I have a class tonight too. Happy Monday! Congratulations Kathy E. Have fun spending your gift card! Can you sew too much?